Machinery is designed to make people’s lives easier. So it is almost arbitrary that it is designed keeping in mind the ever-dynamic conditions and needs of people. 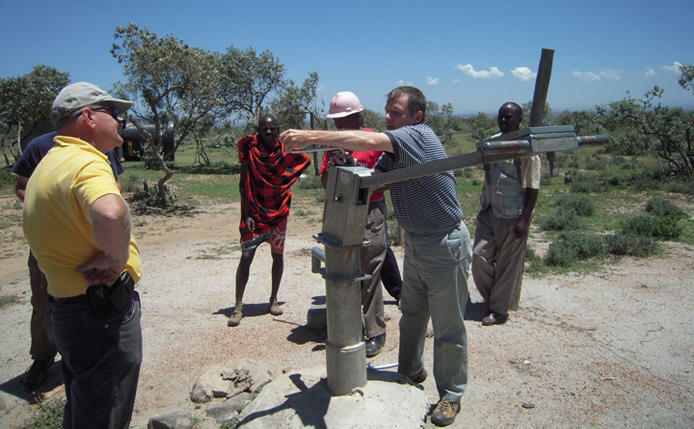 The India Mark II extra deep well hand pump, designed with this though, is a conventional lever action hand pump designed for lifting water from extra deep sources, i.e. 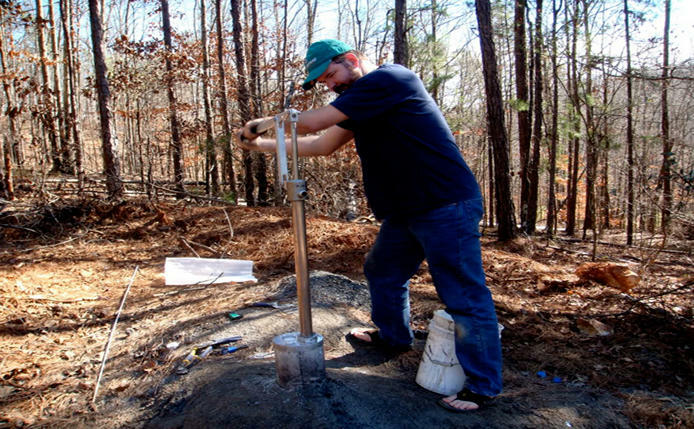 where the static water level is deeper than usual and eliminates the use of conventional wells. This requires these pumps to be sturdy and strongly built. The maximum recommended lift for these pumps is 80m. 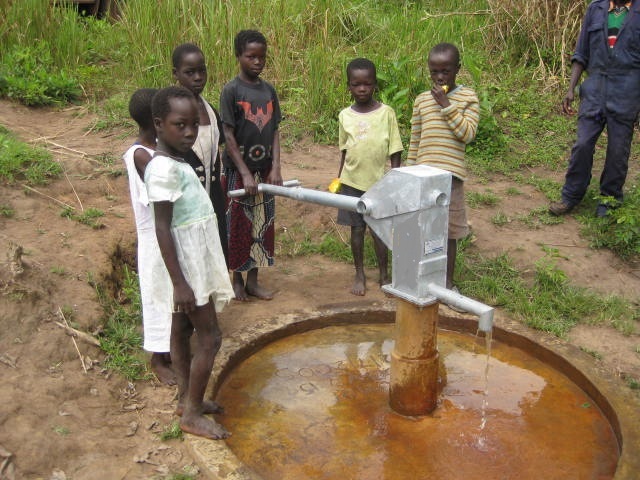 Since the installation and maintenance of these pumps require special skills and tool sets, which exceed the ability of the village caretakers, they are not considered to be VLOM (village level operation and management) pumps. However, specifically trained area mechanics are available to install and maintain these pumps. The India Mark II extra deep well hand pumps is a modified version of the India Mark II, better suited for deeper static water levels. The down-hole components consist of a brass lined cast iron cylinder and a brass plunger, which has a triple cup seal of Nitrile rubber. The rising main is of Ø 32 mm (1 ¼”) GI pipe and the pump rods are of galvanized steel with M12 connectors. It has a stroke length of 10mm that delivers a water discharge of 12 liters per minute, at 40 strokes, which is capable of serving hygienic drinking water to small village communities of up to 200 people, with 10-15 households. The handle of the extra deep well hand pump has a bigger cross section and tee-bar attachments with extra weight, which helps in reducing the manual effort while pumping. Since the water is lifted from a deeper than usual level, it is imperative that extra effort would be required to draw it out. But the counterweights attached to the handle assist in the movement of the handle while in use, and thus reduce the manual effort to a minimal. The number of counterweights varies in accord with the exact depth at which the cylinder has been installed. No weight is required for 50-60m depth, one weight for 60-70m depth, two weights for 70-80m depth and three weights for 80-90m depth. The pump head, handle, water tank, pump stand, and pump rods are made of galvanized steel, rising main of galvanized GI pipe, pump cylinder cast of iron or brass, and plunger and foot valve of brass. This pump does not have a corrosion resistant quality and should advisably not be used in areas with aggressive water (pH value 6.5). The India Mark II extra deep well hand pumps manufactured at Aakash International offer optimum quality through excellent craftsmanship and stringent adherence to industry standards. The raw materials required to build these products are acquired from trusted industry vendors and are integrated with advanced working mechanisms. Apart from that, strict quality control methods are followed during the manufacturing of these products, which ensures that only the best quality reaches the customers, at modest and affordable prices.